Senior defender Stephanos Bueller applies tough D to the Roosevelt Attacker. 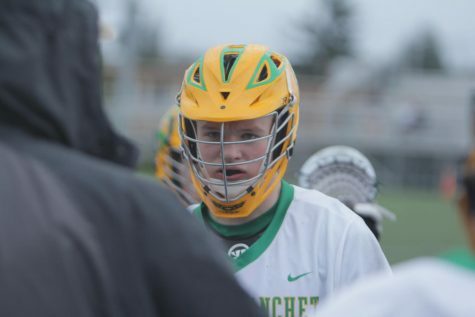 The Bishop Blanchet Boys Lacrosse team has ten seniors, talented attackers, and one of the best juniors in the state, Jackson Brown, yet there is one thing they do not have; a league win. The recent 20-2 shellacking courtesy of the Eastside Catholic Crusaders on March 27 was the Braves’ 5th league loss in a row. In addition to the Eastside game, the Braves have dropped tough matchups against Lakeside, O’Dea, Seattle Prep and Bainbridge over the first two weeks of the season. 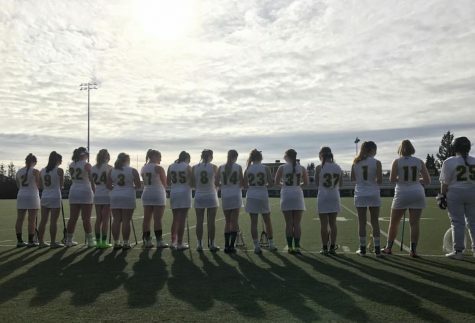 Despite these tough results, the Lacrosse team still holds high expectations for the season. Sophomore middie Matthew Kennedy receives final instructions before taking the field. There have been some positives for the team. They began the season with a convincing 10-3 win over California-based high school, Stevenson in a non-league game. Doquilo and Brown have been the star performers of the season so far. Through five games, Doquilo has scored a team-high 9 goals in addition to dishing out 4 assists. Brown has scored 4 goals and provided a team-high 5 assists. If the dynamic duo keeps their form, the Braves will soon be counting the wins. 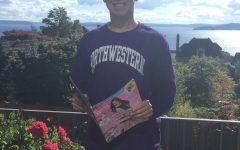 “We know we have the tools to be a great team,” said senior goalkeeper Jaybry Doyle-Hupf. 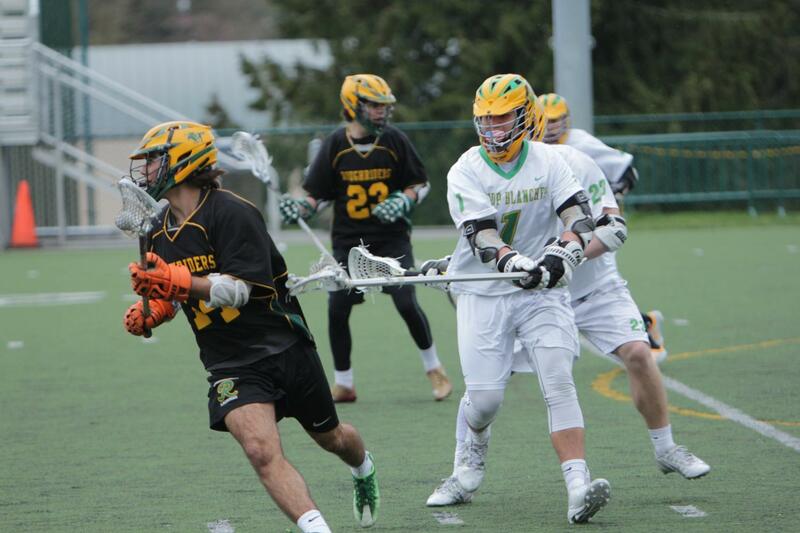 Lacrosse hopes to break the losing streak in an away matchup at Lake Washington at 8p.m on March 31.